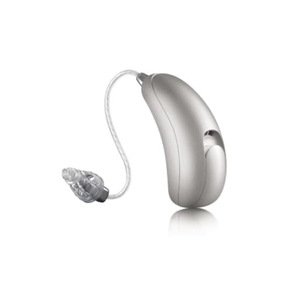 The Moxi All 500 is the entry-level, made for all phone hearing aid from Unitron. The device has the hearing programs and listening system from the company’s latest platform which helps create the best sounding conversation for the wearer. The hearing aid directly connects with Apple iPhone and Android smartphones via Bluetooth for hands-free phone calling and direct sound streaming.